Learning in Technicolor – Page 3 – A space to share, reflect, and learn. 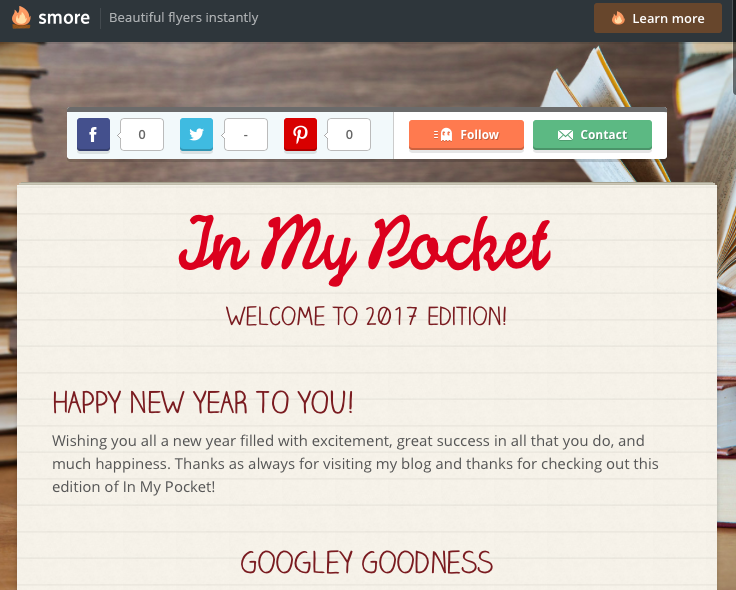 In My Pocket – Welcome, 2017! 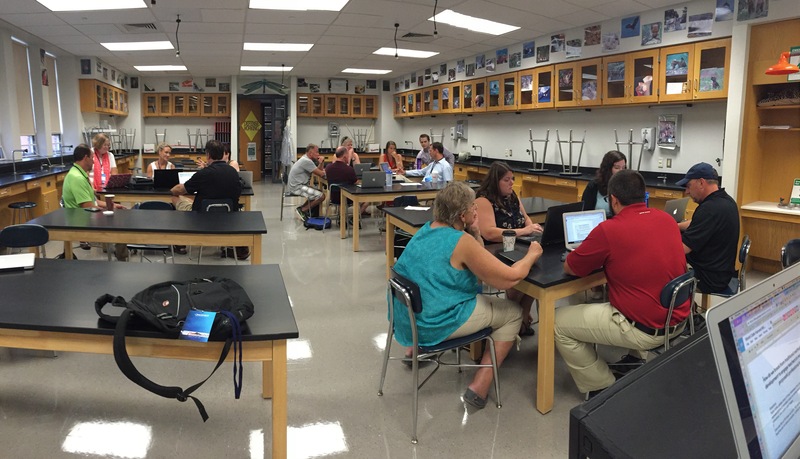 What’s a PLN, and why do I need one? 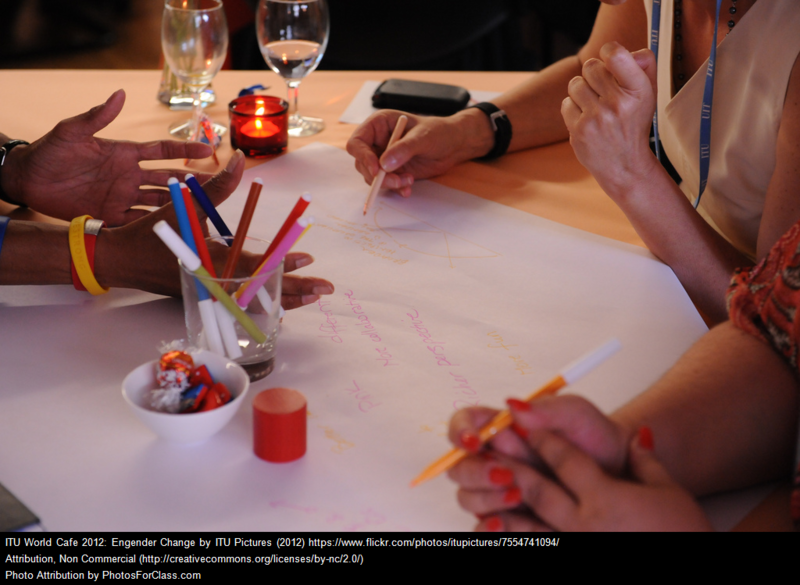 What’s a PLN, and why do I need one? This session will explore the power of networked learning for educators and administrators and how, through the use of digital technologies, there are numerous opportunities for educators to engage in professional learning with colleagues from around the world. Teachers and administrators congregate in powerful learning communities using tools such as Twitter, Google+, Instagram, and more to share resources, support and inspire, and challenge thinking to help us move forward as professionals. This session will explore the power of connected learning, how to begin establishing practices that will help you connect, and the ways in which connected educators transform teaching and learning for themselves and their students. Sometimes in our quest to get more educators connected we neglect to delve into the fundamentals of network development and learning, which I share throughout the chapter I authored in Learning Forward’s Powerful Designs for Professional Learning on the use of social media and educator learning. Read my chapter here. If you’re new to the ideas of connectivism and personal learning networks, I encourage you to read the works of George Siemens (also very much enjoyed My personal learning network is the awesomest thing ever!! ), Stephen Downes (I especially appreciate his distinction between personal and personalized learning), and Dave Cormier (get to know and love and/or become extremely uncomfortable with rhizomatic learning), who I referenced in addition to other connected learning pioneers throughout my chapter. It’s been important for me to share my process, how I started, the tools that helped me connect, and the challenges I’ve faced. When I work with educators who are new to networking in the digital age, I make sure to tell them that it takes time and it takes effort to build a quality network. I share this post (I still use some of the tools mentioned, others have been replaced) and explain why online communities such as our instructional technology coaches’ community on Google+ can be powerful places of learning. I also share the ideas of Harold Jarche through his personal knowledge mastery framework. 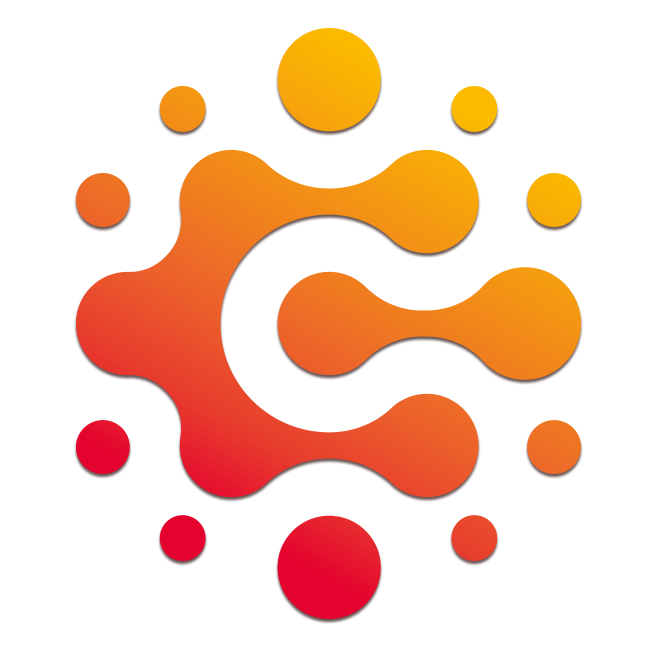 I’ve been a “connected educator” since 2009, when I first started my blog and sharing via Twitter. The spaces have evolved over the years, the conversations have shifted. The voices have become more prevalent, and my network has become more diverse. My participation in these spaces has changed as well. This is a good thing, for the most part. 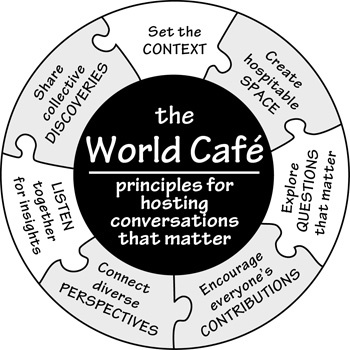 The echo chamber is a very real and concerning effect of surrounding yourself with like-minded individuals, and it’s for that reason that educators in these spaces need to celebrate differences and promote equity. Don’t add to the noise. Share something that will help others make meaning and the world a better place. Make it a priority to think about what you’re sharing, who it might impact and how, and why you’re sharing it. 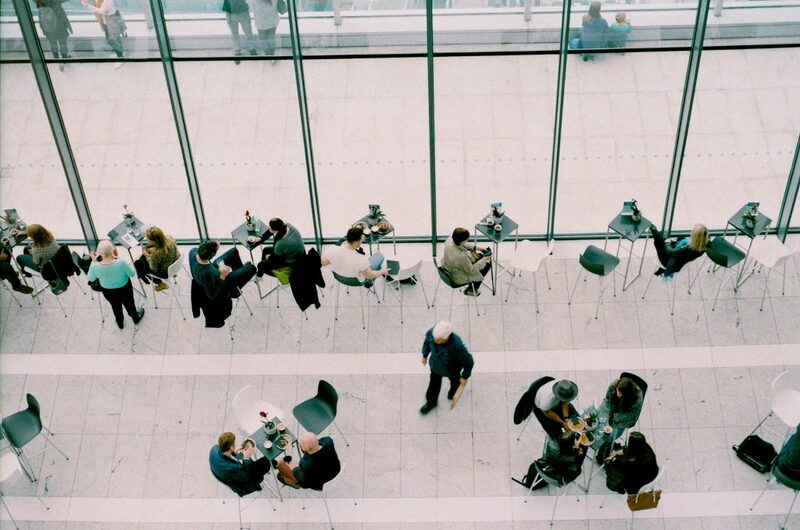 What advice do you have to those looking to establish a viable network to promote learning? Share in the comments here or send me a tweet. 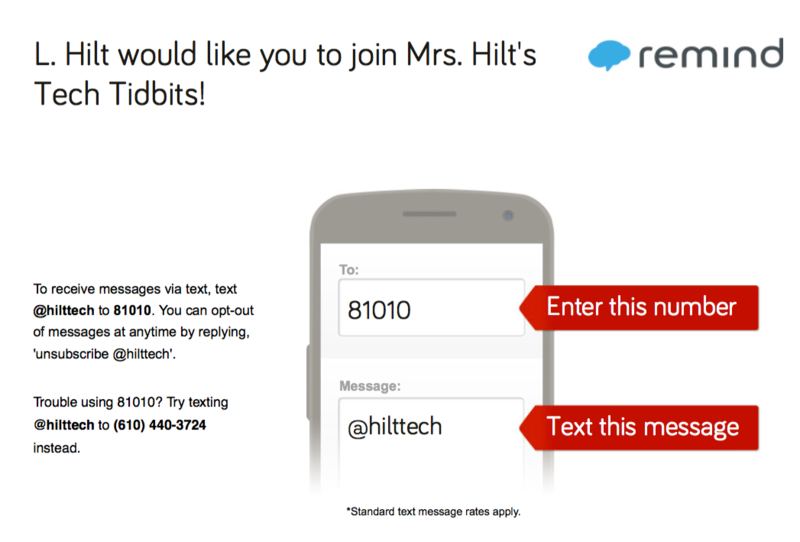 Hope to see you at FETC! Sidenote: This blog has been hosted for many years using Bluehost. Due to its outrageous comparative costs and frequent outages, I’ve made the switch to Reclaim Hosting and couldn’t be happier. The transition was seamless and personal communication and support unrivaled. 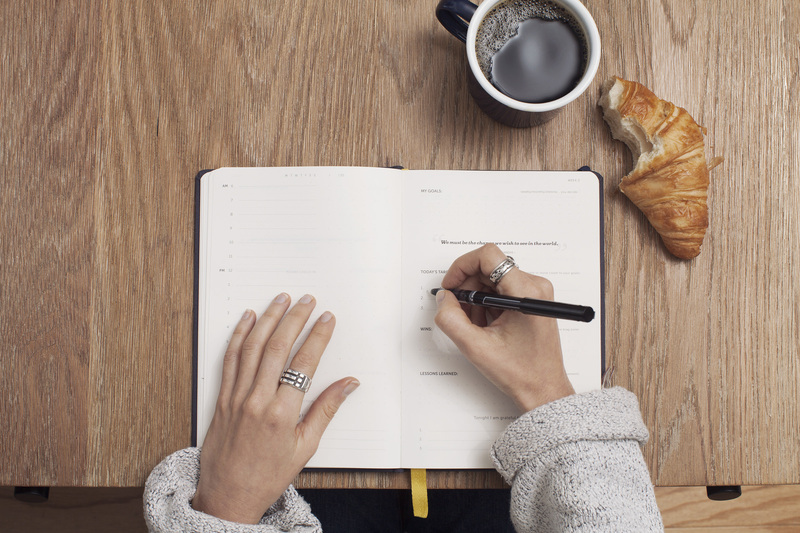 If you’re a blogger, you should check it out. Like now. So you want to be innovative? Excuse me while I take a break from all the things (in case you’re wondering, work-from-home-mom is one exhilarating and exhausting ride) to share some recent wonderings and things I’ve noticed about leadership and educational innovation. Would love to hear your thoughts. You can lead an administrator to water but cannot make him drink the Kool-Aid. You can nod your heads in agreement. Yes, we need to be innovative. Yes, project-based learning is good. Yes, let’s give our students more agency. Yes, innovative professional development. Yes, Chromebooks. But what you DO matters more than anything you say. You read a book about innovative leadership and disruptive education? Great. You participated in an online course where you learned the importance of shifting your thinking in terms of what modern learners need? Awesome. Now what? Are you going model for your teachers what it means to be a digital age learner and leader? Or are you going to revert to traditional practices and use the “I don’t have time for this” and “I’m buried under too much administrivia” and “I just can’t figure out Google Drive” excuses for why you continue to use stagnant leadership practices? These are challenging questions because they require really hard work and effort to address. I have worked with school districts whose principals range from uncomfortable to highly fluent , not only in the use of technology, but in mindset. (Buzzword alert). Seriously, though, forward-thinking administrators hold in high regard the need to constantly reinvent, change, take risks, and choose to do so on a daily basis. Teachers can see it. Students notice. Yes, sometimes you have to move out of the way and allow your people to innovate. But you have to do it, too. One-size-fits-all is bad. Do you like how I used a black & white statement to address this point? Statements like, We are moving to a paperless environment. You are no longer allowed to use paper in your classrooms, causes teachers to force uses of technology that almost always end up in lost instructional time and annotated PDFs. 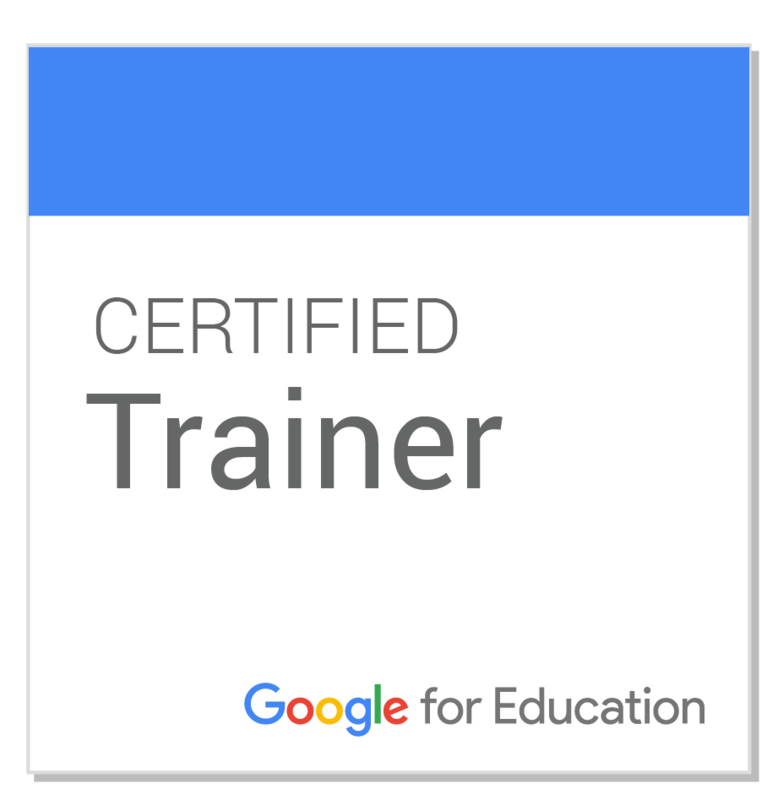 In recent G Suite for Education trainings with teachers I have had many a teacher wonder how they can “digitize” their worksheets. A worksheet on the computer or tablet is still a worksheet, my friends. How can you ask students to demonstrate their learning or apply those worksheeted concepts in another format? In a more collaborative or creative way? Ask me then how to integrate the technology into that practice. MacBooks for all! 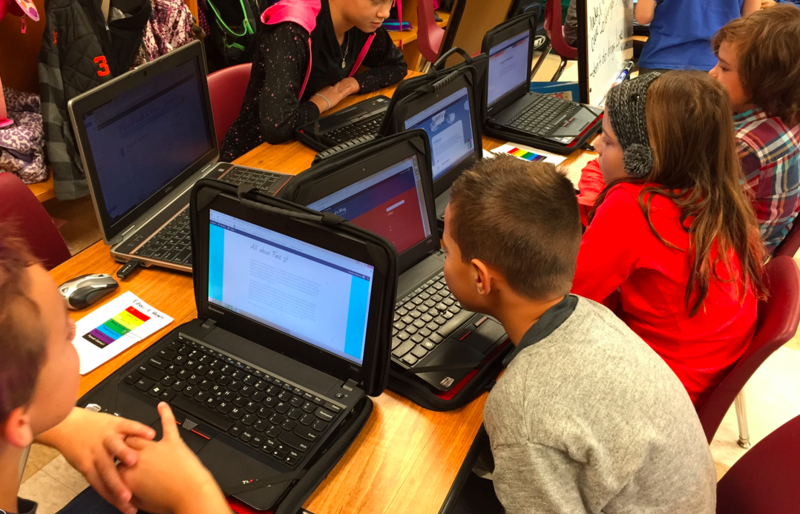 Chromebooks for all! iPads for all! Hopefully technology leaders have figured out by now that no one device can do it all. Of course you need to have purchasing and implementation plans and it wouldn’t be wise or manageable to allow every teacher or student to have his choice of a preferred device. Consistency is good, but it’s important to acknowledge that certain devices and platforms may support certain programs (i.e. 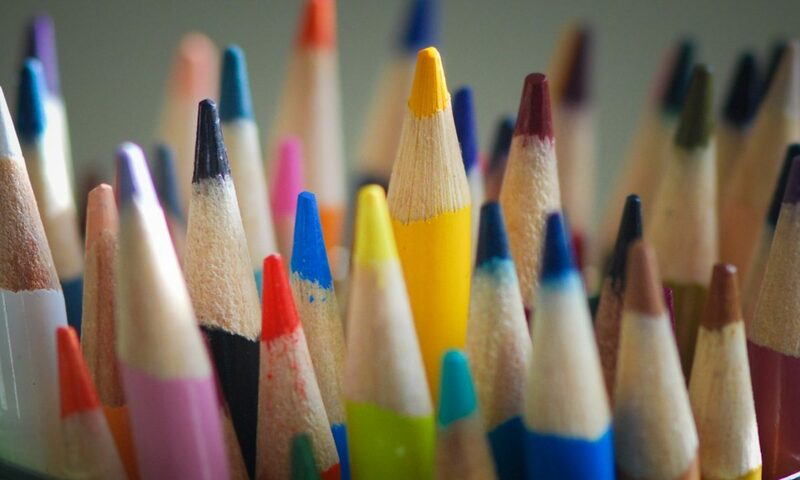 special education, the arts, English Language Learning) better than others. How will you give teachers and students a voice in the decision-making process? Failure to be willing to veer from an established plan is almost as dangerous as not having a plan. You’re the leader of some team or group or school or district. Someone comes with you with an idea that is a bit unorthodox and certainly isn’t part of the established plan for <insert process here>. How do you respond? Do you feel one-upped? Are you embarrassed you didn’t think of it in the first place? Or are you invigorated, knowing you surrounded yourself with the smartest and most talented people possible in order to grow as an organization? Do you allow off-the-cuff, experimental, beyond the box thinking? Or do you stifle any and all attempts at innovation? Leaders, whether innovation happens or not starts and ends with you. Abiding to the “we need to prepare kids for X” mentality. When I was a classroom teacher, statements like this could be heard at every level, from K through 12. We need to teach this curriculum and do these activities and make kids rotate teachers and organize note-taking this way and teach them how to write down their assignments in an agenda book because OMG they’re going to move to the next grade level eventually and they will have to do those things in that grade!!!!! Can you believe it?! Do we need to help create conditions in which students are motivated and driven to complete assignments and projects in a quality manner and stay organized throughout project work and cooperate with teammates and communicate about deadlines? Sure. We can create conditions for that. Should we maybe focus on fostering an environment of respect and rapport and delight and curiosity and making sure we prepare our children for LOVING TO LEARN? Yes. It’s okay to admit that you don’t know it all and you probably exist in a silo. Me: Born and raised in rural Pennsylvania. Taught in rural Pennsylvania. Principal in rural Pennsylvania. Sheltered much? Not cognizant of my own white privilege? Not even remotely. In recent years I’ve been interacting with so many people, from so many parts of the world, teaching and learning and leading in many different environments. They brilliantly lead and learn and advocate and address situations that I would never in a million years have to address in my life. I have been learning a lot, but I continue to have a need to read, research, reflect. I can’t help schools and teachers and teams innovate and help us progress forward if I exist in my world and my world alone. Take advantage of the time you’re given. There are not many opportunities for professional learning embedded into a school’s yearly calendar. So when you’re afforded time, take advantage of it. Workshop? Get hands on. Try some of the tools and techniques you’re shown. Collaborative team time? Make it productive. Produce. Not thrilled with the PD options you’re given? Tell someone. Advocate for yourselves as learners! Promote the #edcamp concept and other innovative methods of professional learning. Tell them what you need to be better. For kids. You need support? You can find it. You are not alone. Leadership can be an isolating gig. I remember those early days as a new principal. It seems like an eternity ago! This was before #leadupnow and #satchat and #momsasprincipals. (That’s a thing). It was just #edchat and Connected Principals. Look how far we’ve come as a connected group of educators! Spaces to share voices, spaces to ask for help, spaces to challenge conventional thinking. Spaces to share the good and address the bad. It feels good to reflect. I’m looking forward to a year of continued conversations, learning and leading, and connecting with you. 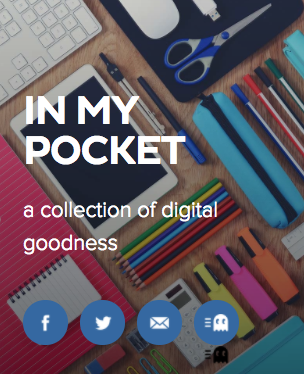 Enjoy the second edition of In My Pocket! I’m developing online courses using an LMS I’ve never used to author anything before. I won’t name the LMS, you can probably guess which of those available might be the only one to frustrate me to the point of actual tears. For serious. Tears came out of my eyes. I found it so counterintuitive, organized in a way that, to me, was overwhelming and confusing and redundant and alarmingly annoying and with every second I was forced to interact with it, I wanted to scream. My blood pressure raised, breathing became faster… I vented to my husband and yes, indeed, he agreed that the platform was frustrating to work with, that it wasn’t just me, and several in my PLN agreed. But that doesn’t much matter, because I don’t get to choose the tool. The organization does. And the point of this post isn’t to say it’s the right or wrong decision or all instructors should be able to choose their platform because certainly that would create issues with continuity and what not. For heaven’s sake, I’m a tech coach! I can’t be so easily frustrated by technology! Can I?! What this experience made me realize is that, beyond having someone show me click-by-click where I needed to go to add elements to my course, beyond accessing the readily available video and screencast tutorials for the LMS, I needed someone to empathize with my situation. I needed someone to care. A skilled coach can sense that you’re struggling. Can look at the situation and try to understand why. What elements of the situation are causing angst? What skills, if acquired, will help reduce anxiety and lead to success? What strategies can the coach use to simultaneously calm your fears, address your concerns, and enhance your skill set? Some teachers aren’t open to coaching, not because they wouldn’t appreciate the development, but because they’re not comfortable admitting they’re uncomfortable. They don’t want to let their guards down. We see a teacher who’s reluctant to innovate and we consider them stubborn, traditional, grounded in their ways. What they allow us to see isn’t enough to understand why. We need to know what they’re feeling. If you’re a teacher struggling, whether it’s with technology integration or with a new instructional strategy, don’t be afraid to communicate honestly about your emotions surrounding the situation. That can only help your coach better design support strategies for you. If you’re a coach and you don’t acknowledge the feelings of those with whom you work, you’re doing it wrong. The person comes first. Development won’t happen without essential relationship-building. 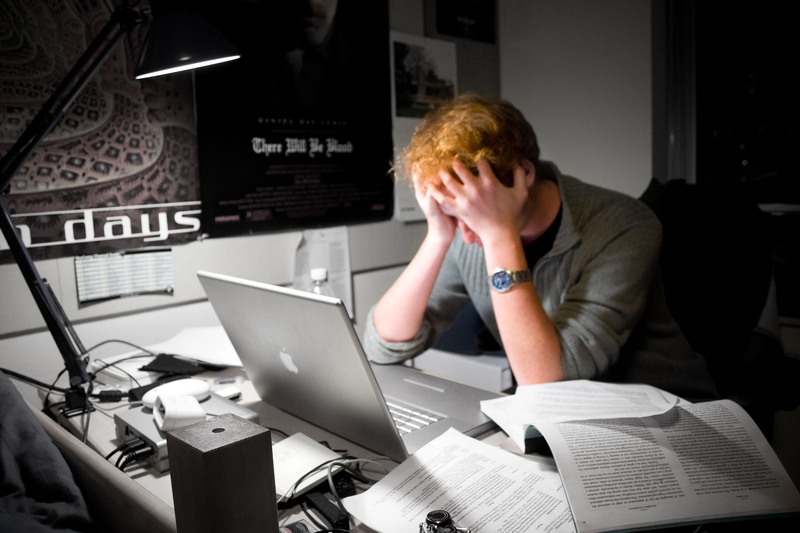 My increasing frustration working with a new LMS made me realize that when I coach teachers, I need to find out why they’re nervous or reluctant about tech integration, why they’re over-the-top zealous about it, why they display negative feelings about it. Everyone’s past experiences shape them as a teacher, as a learner, as a leader. I know I didn’t always put feelings first in my approach to working with teachers, and I would go back and change some of my strategies if I could. The real value of a coach is having someone willing to be by your side when the learning gets tough. Whether it’s coach-teacher, teacher-student, admin-teacher, remember to acknowledge the fears, the needs, the aspirations of the person you’re learning alongside. Sometimes in the early morning hours, I manage to put together something worth sharing. 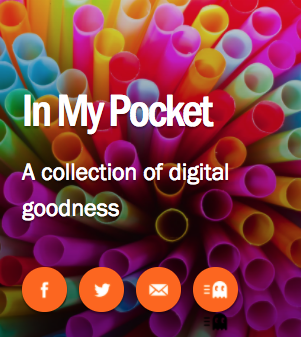 This morning “In My Pocket,” a collection of things I’ve curated whilst reading and learning online, is born. Enjoy! Blogs and Smores and Texts, Oh My! 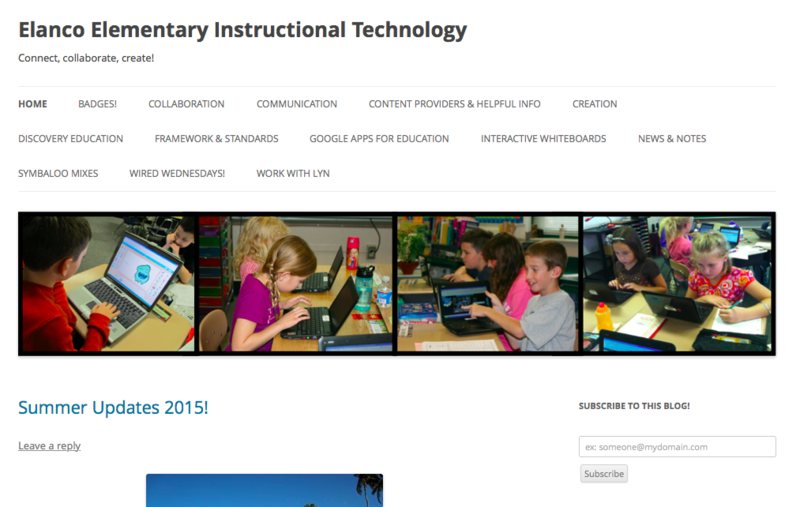 Elementary Instructional Technology Blog – This Edublogs site (our district uses Edublogs K-12) is my main hub for communication. A place where I share resources weekly, house content provider and device tutorials and must-knows for teachers, and link to other important spaces and places like our @elancoelem Twitter and Pinterest feeds. Whenever I receive an email question re: “How do I do this?” or “What are the login credentials for that?”, the answer is almost always found in this space. I encourage teachers to subscribe by email, and although I don’t email blast every post I write, I do, on occasion, email the elementary staff en mass with a link to a blog post that I feel is beneficial to everyone. 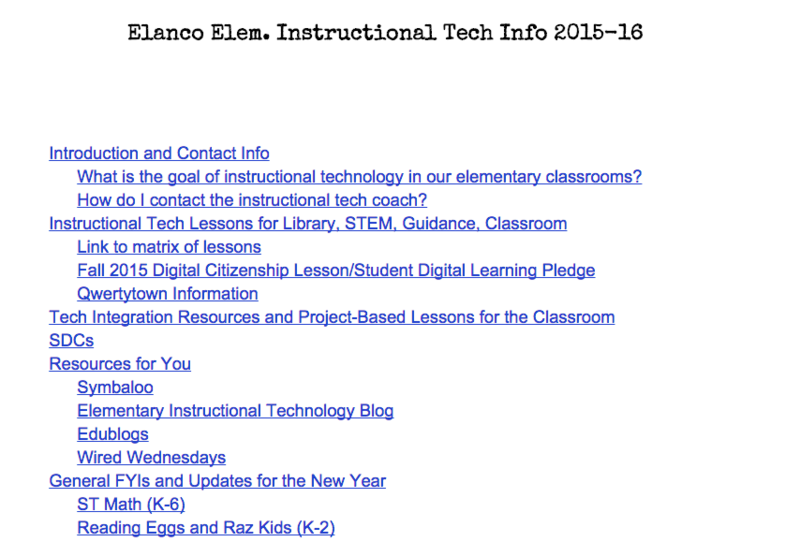 The Google – This summer I published a 2015-16 Elementary Tech Updates Google doc, shared internally via GAFE. I utilized Google Doc’s Table of Contents feature to allow teachers to jump to topics of interest and it helped better organize the updates. Did every staff member read it? I’m not sure, but there’s pertinent information there that they’ll definitely need to know before starting the year. If I receive a question that’s answered on the doc, I’ll reference it and make sure teachers know how to access it and to read it as soon as possible. I’ve used Google Drive shared folders to share unit or lesson resources easily with teams, teachers, and administrators, and I’ll use Google Classroom with staff to support some asynchronous professional learning opportunities this year. In addition, since our elementary schools run on a common schedule, we’re going to to utilize Google Hangouts during common planning times so I can meet virtually with two schools while I’m physically meeting with the third, allowing a PD session to expand to all three buildings and not limit the learning to where I am physically stationed. We’re hoping this platform inspires our teachers to reach out to one another across building lines more often! The secondary tech coach and I also use Google Forms to ask teachers to self-evaluate on the Spartan Digital Competencies we’ve developed, and to set goals for the year in instructional tech integration. This allows us to better focus our coaching efforts. 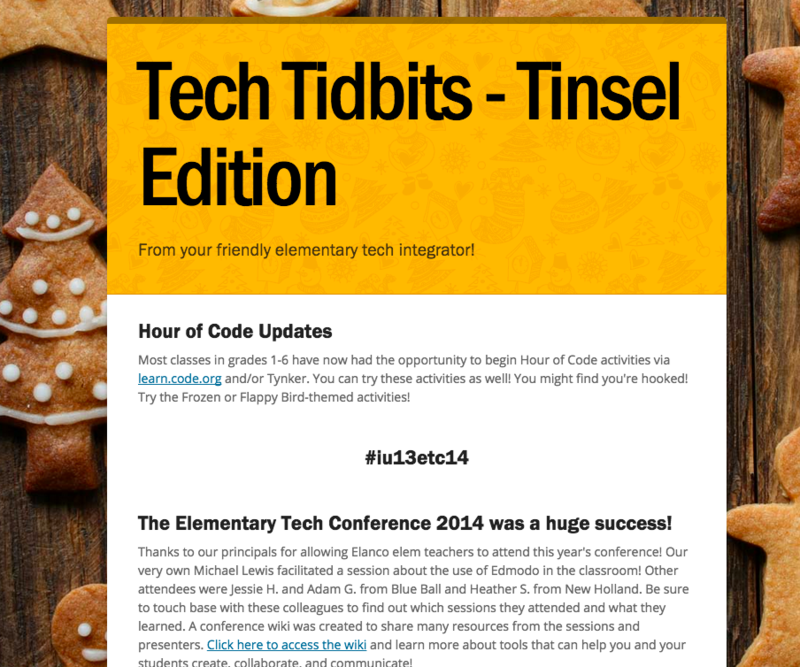 Smore – I fell in love with Smore’s easy to use interface and designs for creating interactive flyers a few years ago, and I’ve been using them to create Tech Tidbits to share on the elem tech blog and through social media channels. I plan to continue using Smore to share resources I find while browsing online. Its ability to easily incorporate text, photos, videos, and links, as well as share via link or embed code, makes it a no-brainer choice for me to spice up my communications! 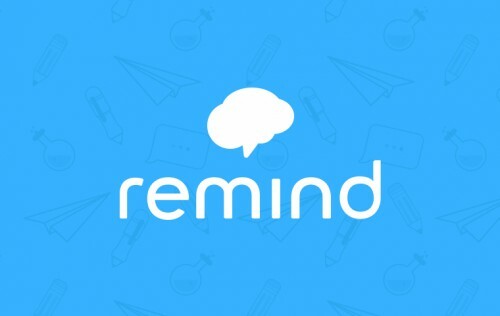 Remind – My first experience with Remind (then Remind 101) was about five years ago when I was elementary principal, and we signed up for the service to announce weather-related closings and delays to staff, eliminating the need for a clunky phone chain. (No one wants to answer the phone at 5 AM on a potential snow day!) I loved that it was opt-in, that there was no exchange of phone numbers or email addresses, and that it was dead simple to communicate quickly with a large number of people. I didn’t consider using it to support professional learning until Kyle Pace shared his strategy of connecting with conference participants to continue sharing resources with his Kyle’s GAFE Tips & Resources class. What a great idea! I love receiving Kyle’s updates via text. I read a lot on my mobile device, and it’s simple to access his shared links, be inspired, and save them to spaces where I can access later. Here’s the full set of directions if you’d prefer to subscribe via email. I plan to start sending updates once the school year begins later this month, and I promise not to bombard the system! Wired Wednesdays – This year I’m offering after-school, hour-long professional learning sessions on a variety of tech topics. Since the elementary has a limited amount of common planning time devoted to instructional tech PD, I’m hoping teachers will take advantage of these sessions and join me for some fun Wednesday afternoons! Along with face-to-face team meetings and check-ins with teachers, I’m hoping these digital communication strategies will help inspire my teachers and provide them with the resources they need to successfully use technology to support student learning! How will you communicate with staff and your school community this year? In 2011, I attended my first ISTE. Shortly thereafter, I wrote this. It was a post about a list and Klout scores and who’s who and what I learned from my experiences at ISTE. How I most enjoyed seeing student displays, how exciting it was to meet members of my PLN face-to-face, how I was honored to be part of the Connected Principals panel moderated by Scott McLeod, and how irritating it was to witness adult social interactions mirroring those of immature junior-high school students. With ISTE 2015 only a few weeks away, it’s interesting how my thoughts about being a connected educator, integrating technology into teaching & learning, and engagement with social media have shifted over the past four years. In 2011, I was newly connected. I had an emerging following and people read my blog. On the post I linked above? Over 15 people commented. Blog posts today? Comments are hard to come by. I’ve heard the same feedback from other bloggers. How is it that I have 10,000+ more followers than I did in 2011, but fewer people engage with my content? I did reduce the amount of time I spent in these spaces after my son was born – my bad, I guess, for needing to be a mother to a newborn and an educator – and sadly I can say as a direct result of my hiatus, I received fewer requests to connect and work with schools over that time. So, what’s changed? How was 2011 different than 2015? How does being a connected educator then compare with being a connected educator now? Maybe my newer stuff is crap. Perhaps I was only interesting when I was a principal. I don’t blog as much as I used to. Sometimes I find it extraordinarily difficult to think of things to blog about. I don’t want to blog for the sake of blogging simply because at one point I was a more prolific blogger. It’s easier to engage with others’ content in ways that are far less rewarding or meaningful. RTs, Likes, 1+s… it’s a click, a tap. An acknowledgment. It’s not engagement, though. There are a lot more educators in the Twittersphere and social spaces discussing education. (I use the word discuss loosely.) What this means is that I have to more carefully craft the lists of people I follow to ensure my feeds aren’t getting bombarded with absolute nonsense. And lately that’s becoming more difficult to do. It’s why I appreciate our tech coaches’ Google+ community. People are there because they want to be. Because I moderate the posts. Because you have to be an approved member. So, if you’re still reading, what’s changed for you? 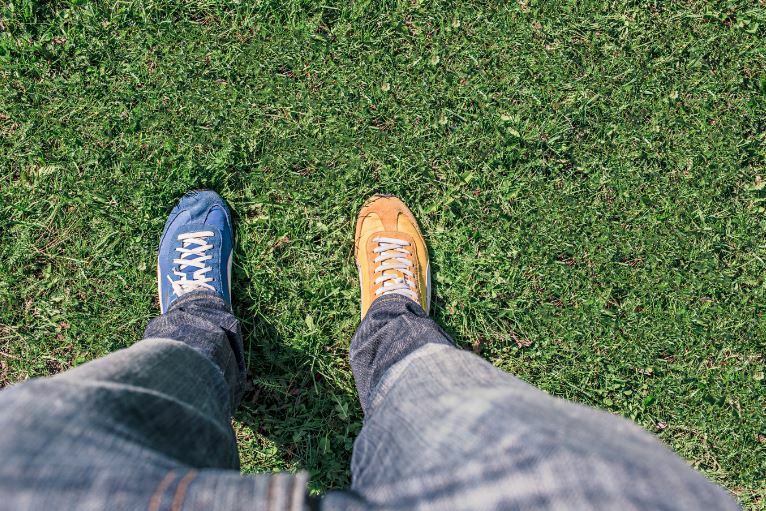 Since the start of your connected educator journey, to now… what’s different? What’s improved? What’s on the decline? What strategies do you use to make the most out of your experiences? How do you anticipate #ISTE2015 (or any ed conference) to be different now, than back then? And don’t tell me I need to be gentle with educators new to these spaces, because I don’t want to hear it. It’s not fair to them. Let’s be real and honest about what these interactions mean to us, how they have changed us, for better or worse, and how to make their experiences worthwhile. Would love to read your comments. Or not. Just RT the post. Don’t forget to include my handle.